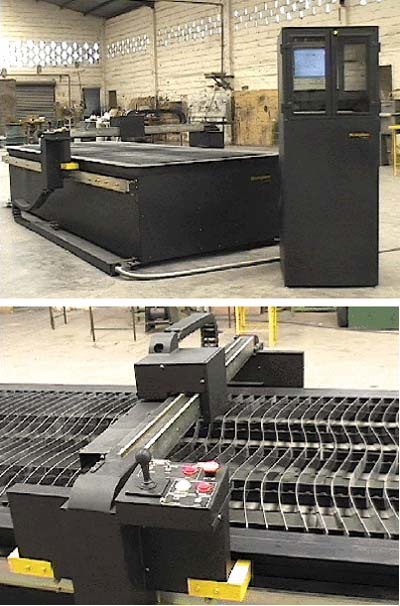 Manufactured in Mexico for industry, this excellent plasma cutting machine uses the HPGL Controller for Windows and Indexer LPT/XQ. Notice implementation of external controls joystick, feed hold and cycle start, on a conveniently located panel. Photographs supplied by the designer, Raul Lara.